Last week in the TLS the good and the ghastly offered their summer reading plans so, without anybody asking, here's my alternative list. 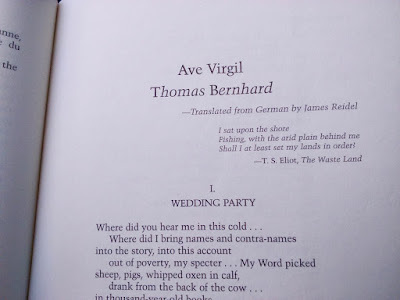 There are already two volumes of Bernhard's poetry in translation so, while one can't have too many translations, I do wonder what there is in addition to Princeton UP's In Hora Mortis/Under the Iron of the Moon, also translated by James Reidel, and Peter Waugh's On Earth and in Hell. 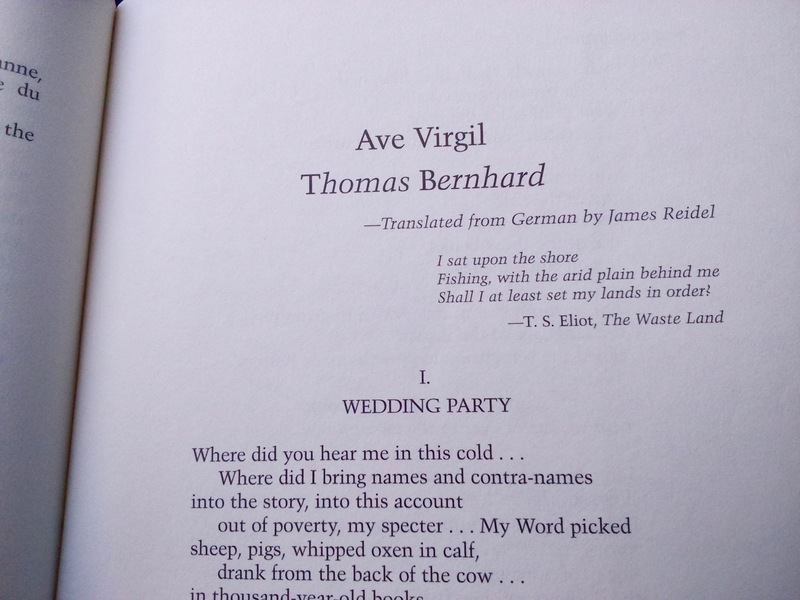 There's also Reidel's translation of the long poem Ave Virgil, which I believe was written in London, published in Conjunctions: 53. 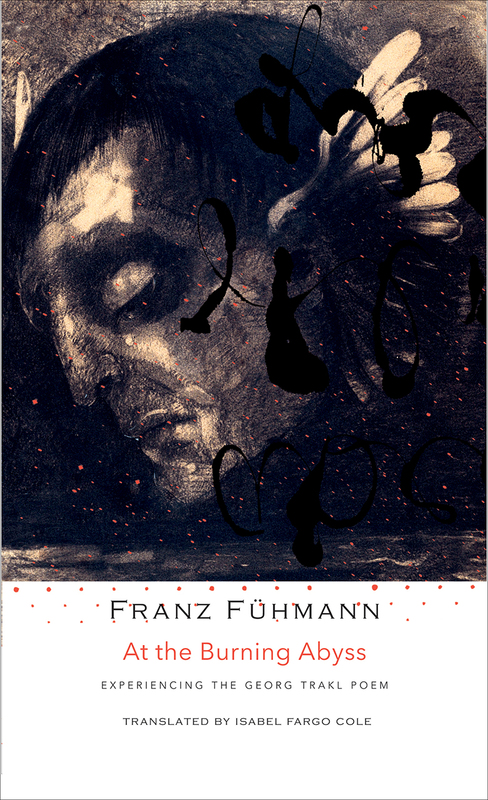 In contrast to Bernhard, I know nothing about Franz Fühmann but At the Burning Abyss has a great subject and an even better title. It might be worth noting that both this and Bernhard's poetry are published by Seagull Books and both editions are absent from its website (at least, I can't find them). 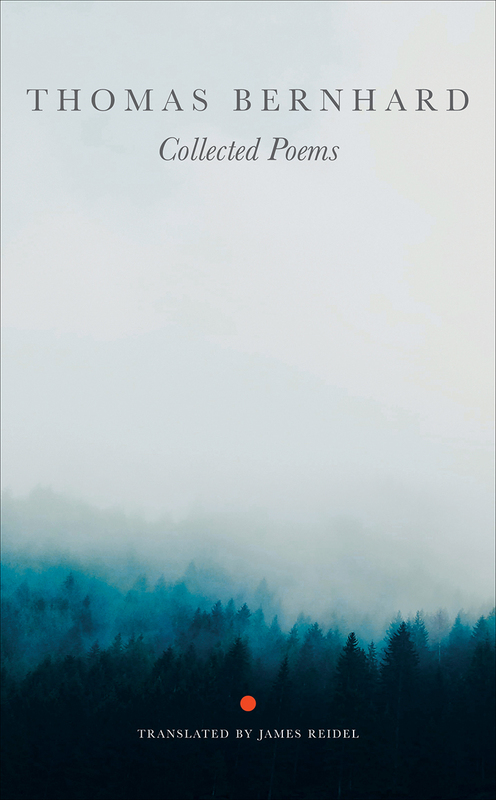 Fortunately, the excellent University of Chicago Press has stepped in with pages for them, with the latter described as "a gripping and profoundly personal encounter" with Trakl's poetry. 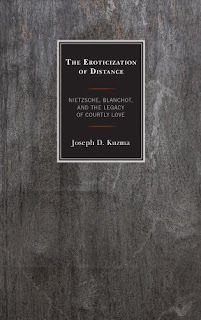 The middle choice, The Eroticization of Distance: Nietzsche, Blanchot, and the Legacy of Courtly Love, was prompted by Joseph Kuzma's brilliant essay The Intimate Blanchot, which I read earlier this year. 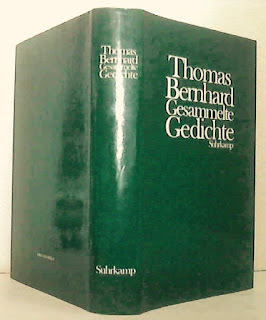 It challenges the assumption that his works "evoke sterility or even coldness" and instead argues Blanchot's fiction and criticism of 1940s and 50s reveals "the most profound intimacy occurs only when separation has been experienced, and affirmed, in its most radical form". This occurs to me as fundamental to the experience of literature. 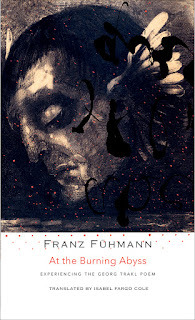 I'm especially keen to read this because, along with Jeff Fort's recent The Imperative to Write and Leslie Hill's Maurice Blanchot and Fragmentary Writing, two of the most remarkable books I've ever read, we appear to be in rich period of Blanchot studies in English. There's also John McKeane's forthcoming translation of Christophe Bident's biography. What's notable in this list is that there is no fiction. Sometimes, while I await happy contradiction, I wonder if other forms offer more right now. 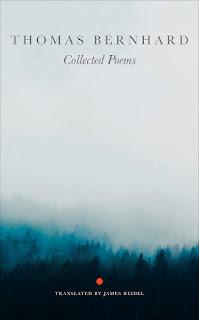 An example might be Pierre Joris' translation of Paul Celan's Microliths, whose publication was postponed from February but, fingers crossed, might appear next month. Meanwhile, extracts are available here. Finally, what's alternative about my list is that I won't likely be reading any of them, as the combined cost of those pictured is £99. Robert Minto belongs to a rare and special group of people: he bought my book. 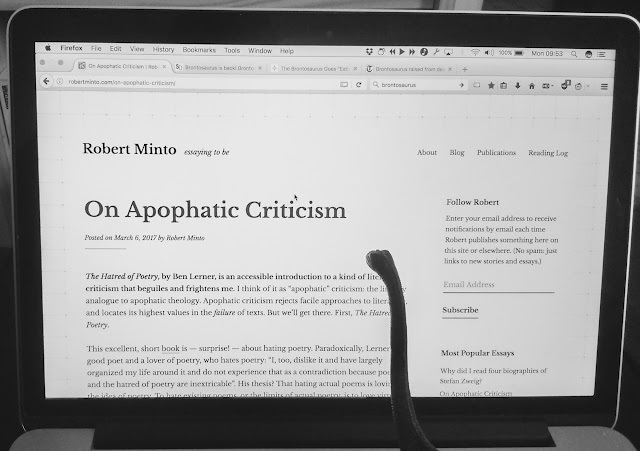 Even rarer, he wrote a response, classifying it alongside Ben Lerner’s The Hatred of Poetry under a new genre, apophatic criticism: “a way of writing about literature that treats it as a commentary on itself, a seeking for its own limits”. Whatever the validity of the label, this is one the best things ever to happen in all my years of blogging, as I realise there are some critics who will never receive anything more than a cheque in the post. If there is one thing that has kept me writing for so long, it has been to find words for an experience of literature that appears to differ so markedly from those at the cash machine, so to have that recognised and appreciated in this way is not only gratifying but a great help.